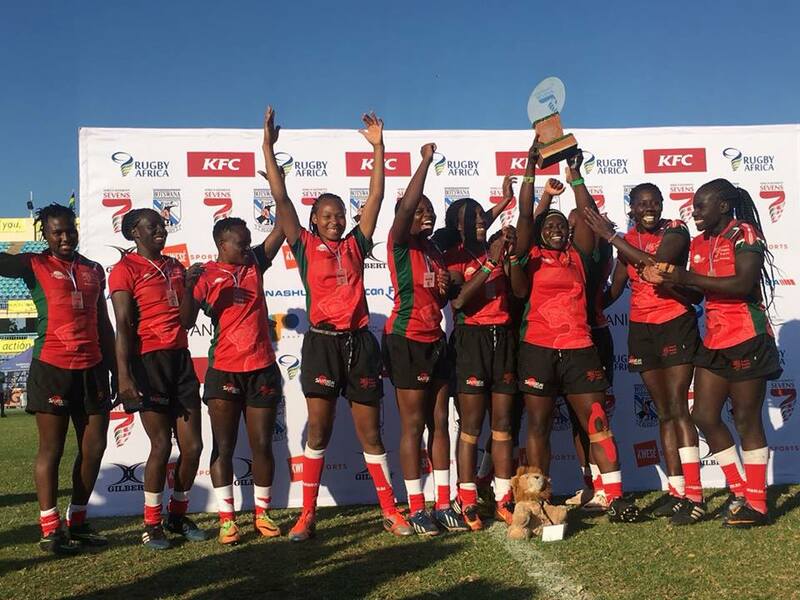 The Kenya women’s national rugby sevens team, won the 2018 Africa cup. It marked the first time Kenya won this tournament after being losing finalists four times. The tournament was held in Gaborone Botswana during the weekend of May 26 to May 27. Kenya won in Grand Style outscoring opponents 181 points to 12. Kenya were peerless throughout, overwhelming opponents with both basic execution and spectacular plays. On offence, Kenya’s play was fluid, putting swinging the ball wide and finding their speedsters on each flank. Sinaida Omondi in particular had an extra gear that none of the opponents could match. She ran around opponents with lightning quickness. At centre, Janet Okello was a joy to watch. What makes her special is her sidesteps which are breathtaking and her ability suddenly change direction and to run at full speed, stop suddenly and take off again at full speed which leaves her opponents in sixes and sevens. Veteran Philadelphia Olando is also deceptively fast and with her larger frame, she is difficult to stop. Support play was another area where Kenya excelled with Cynthia Atieno, Grace Adhiambo and Linet Moraa, another newcomer excelling. But it was not just on offence where Kenya excelled. They also put in solid tackles throughout, tackling low and also putting in big hits.The tackles are impressive when you consider that many of these ladies only took up rugby recently. In fact their defence is better than what the Kenya men’s sevens team offered say around 2004 and before. Their situational awareness was top notch as was their play at breakdowns which was aggressive and on point. Achieving great things against the odds. Kenya’s performance is impressive when you consider how little support these ladies get. To begin with, unlike sports like basketball and hockey, there aren’t any corporations that run women’s teams. As such opportunities to play are limited. Also due to lack of corporate support, many Kenyan lady rugby players often have to dig into their own pockets to play and also make huge sacrifices and travel significant distances to play. And unlike other sports, girls rugby is hardly offered at any girls schools. There is no school’s competition. As a result, many of the ladies play rugby for the first time ever when they leave secondary school. Financial support from the Union is often not forthcoming. In fact Kenya has often missed out on tournaments like the Dubai sevens due to lack of finances. Kenya has improved significantly and are headed for bigger things. 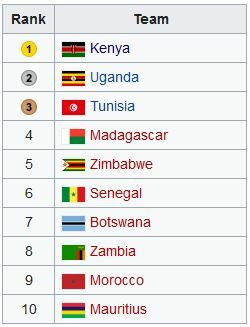 South Africa is the one team that historically has completely dominated Kenya. The South Africa youth team beat Kenya in both 2006 and 2007. Kenya also lost in the 2008 semis to South Africa by a score of 29-5 and in 2013 by a score of 36-0. In 2014 Kenya hosted the tournament in Machakos and lost 15-0 to South Africa in the finals. In 2015, the tourney was held in South Africa and the hosts beat Kenya 31-5 in the final. Kenya recorded their first ever win over South Africa at the qualifier for the 2018–19 World Rugby Women’s Sevens Series. They beat them 24-12 in the group stage. They went on to top group X with a 40-0 win over Mexico and a 17-5 win over Papua New Guinea. 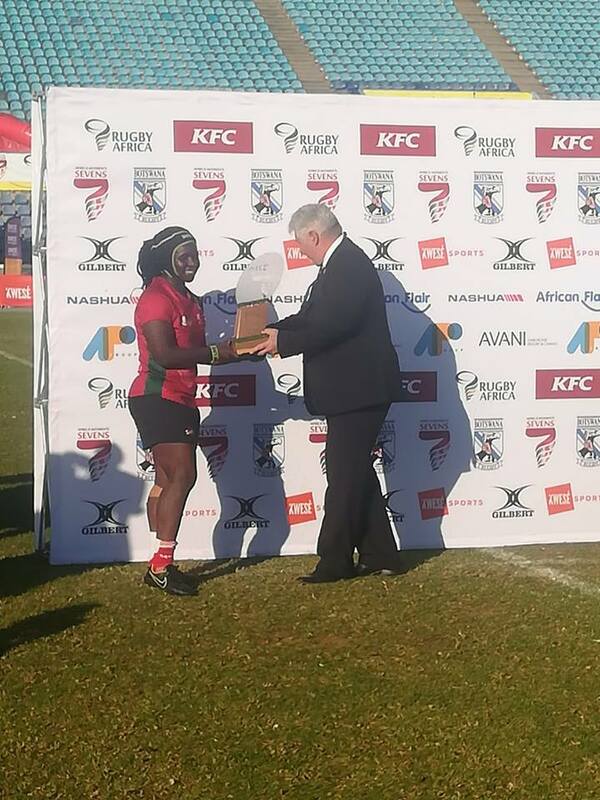 In the knockout stage, Kenya beat Argentina 17-12 before unfortunately losing to South Africa 12-7 in extra time. Kenya rugby ladies have basically closed the gap on South Africa and are now in the overtaking lane. All they now need is additional support from Corporations to offer financial support to the teams and possibly employment opportunities for players. In addition, the KSSA should work hard at introducing the sport at school and University level so that the girls can start learning the fundamentals earlier. 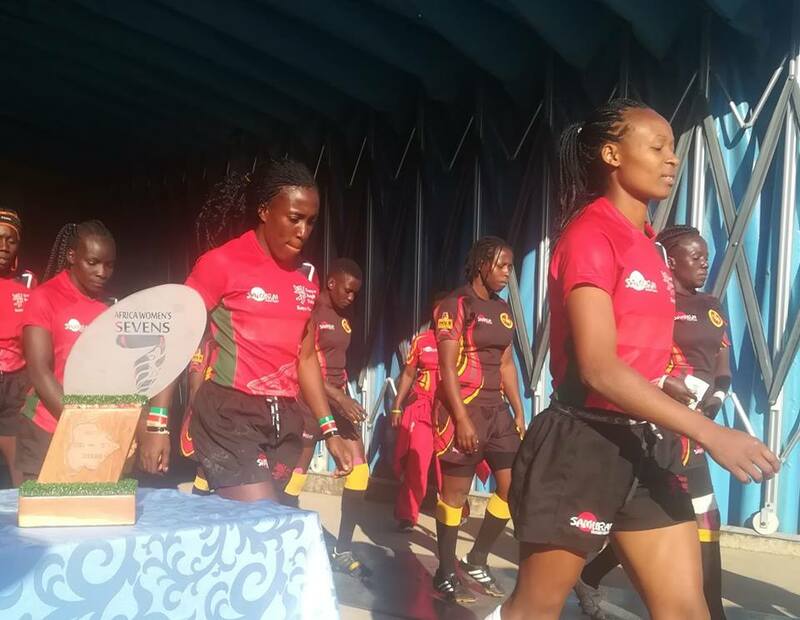 This entry was posted in Kenya Rugby News and Commentary, Kenya Sports news and commentary and tagged Kenya women's rugby, kenya womens sevens. Bookmark the permalink.